Clear glass in the shape of a circular bulge around the filament with a metal alloy at the narrow end with 2 small rods jutting out at opposite ends to enable the light to be attached to a fitting. The filament is made of glass and has a very fine wire on each side extending nearly to the top edge of the glass globe. This fine wire is a spiral with each loop connected to each of 3 small fine wires coming up from the top centre of the glass inside. This globe is unusual as the filament is coiled and held by 5 points coming from the glass piece inside the globe. 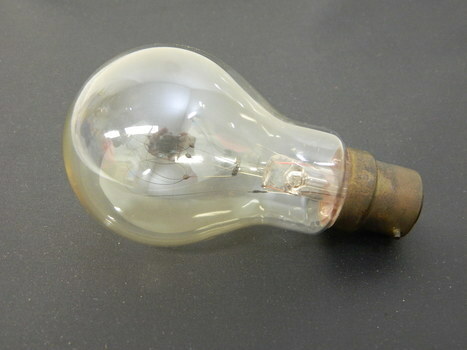 This light globe belonged to the State Electricity Commission of Victoria and may have been used for a special purpose on the Kiewa Hydro Electric Scheme. 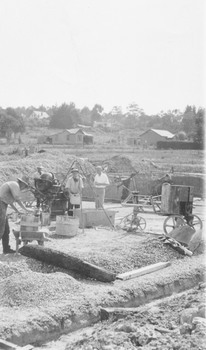 The State Electricity Commission of Victoria built the Kiewa Hydro Electric Scheme using unique equipment to achieve its construction. Catalogue card reads, "Miner's cottage". Eric Barclay's Grace Park map, November 2016. Eric recalls the area around Grace Park from the late 1940s. 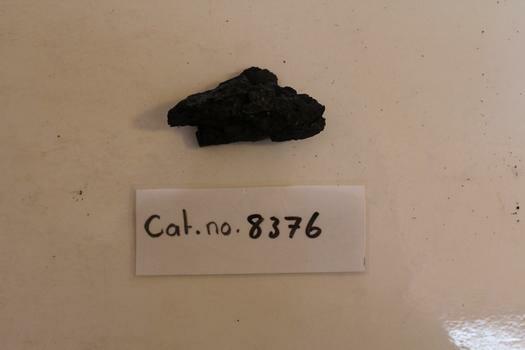 8376.1 - small, roughly triangular piece of high-grade black coal. Unrestored tea spoon from the wreck of the LOCH ARD. 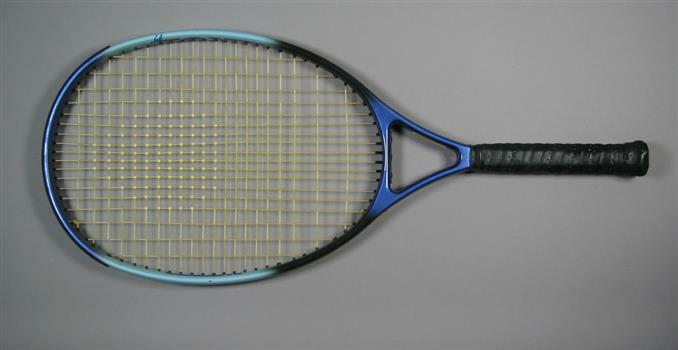 The spoon design has a flattened fiddle-back handle, with a thin stem or shank, flared collar, and elongated bowl. The spoons metallic composition is a thin layer of brass alloy which has partially corroded back to a nickel-silver base metal. Some verdigris and encrustation on bowl of spoon. Bowl of spoon is cracked and corroded, with piece missing. This tea spoon is from the wreck of the LOCH ARD, a Loch Line ship of 1,693 tons which sailed from Gravesend, London, on 2 March 1878 with 17 passengers and a crew of 36 under Captain George Gibbs. “The intention was to discharge cargo in Melbourne, before returning to London via the Horn with wool and wheat”. Instead, on 1 June 1878, after 90 days at sea, she struck the sandstone cliffs of Mutton Bird Island on the south west coast of Victoria, and sank with the loss of 52 lives and all her cargo. 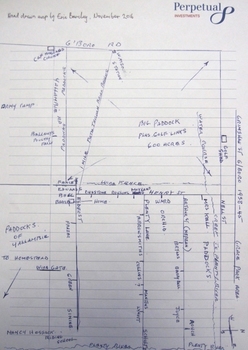 The manifest of the LOCH ARD listed an array of manufactured goods and bulk metals being exported to the Colony of Victoria, with a declared value of £53,700. (202 bills of lading show an actual invoice value of £68, 456, with insurance underwriting to £30,000 of all cargo). Included in the manifest is the item of “Tin hardware & cutlery £7,530”. 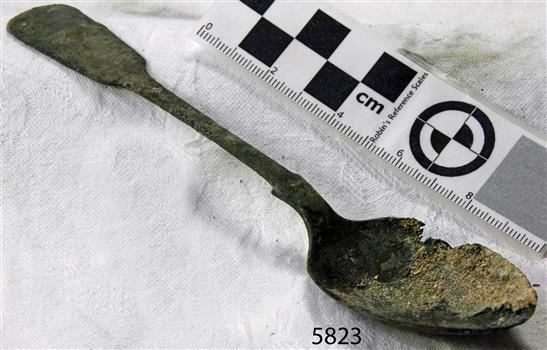 This teaspoon is one of 482 similar items of electro-plated cutlery from the LOCH ARD site, comprising spoons and forks of various sizes but all sharing the same general shape or design and metallic composition. 49 of these pieces display a legible makers’ mark — the initials “W” and “P” placed within a raised diamond outline, which is in turn contained within a sunken crown shape — identifying the manufacturer as William Page & Co of Birmingham. An electroplater’s makers’ marks, unlike sterling silver hallmarks, are not consistent identifiers of quality or date and place of manufacture. A similar line of five impressions was usually made to impress the consumer with an implication of industry standards, but what each one actually signified was not regulated and so they varied according to the whim of the individual foundry. 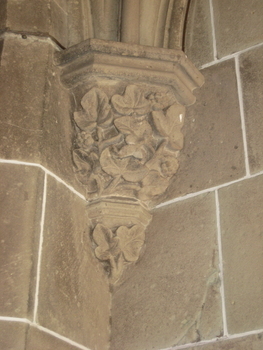 In this case, the maker’s marks are often obscured by sedimentary accretion or removed by corrosion after a century of submersion in the ocean. 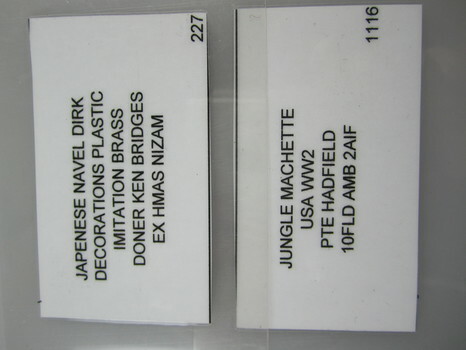 However sufficient detail has survived to indicate that these samples of electro-plated cutlery probably originated from the same consignment in the LOCH ARD’s cargo. The following descriptions of maker’s marks are drawn from 255 tea spoons, 125 dessert spoons, and 99 table forks. These marks are clearly visible in 66 instances, while the same sequence of general outlines, or depression shapes, is discernible in another 166 examples. 1. A recessed Crown containing a raised Diamond outline and the initials “W” and “P” (the recognised trademark of William Page & Co) 2. An impressed Ellipse containing a raised, pivoted, Triangle in its lower part and bearing a Resurrection Cross on its upper section (a possible dissenting church symbol reflecting religious affiliation); OR a rounded Square impression containing a raised, ‘lazy’, letter “B” (possibly mimicking sterling silver hallmark signifying city of manufacture i.e. Birmingham) 3. An impressed rounded Square filled with a raised Maltese Cross (the base metal composite of nickel silver was also known as ‘German silver’ after its Berlin inventors in 1823) 4. 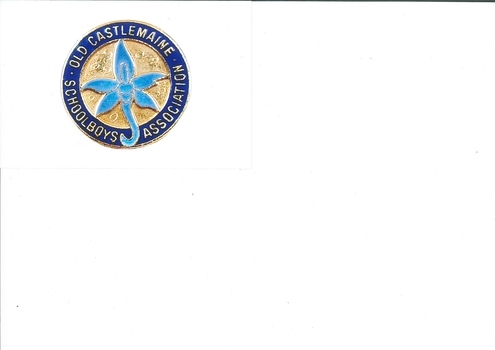 A recessed Circle containing a Crab or Scarab Beetle image; OR a recessed Circle containing a rotated ‘fleur de lys’ or ‘fasces’ design 5. A depressed Diamond shape enclosing a large raised letter “R” and a small raised letter “D” (mimicking the U.K. Patent Office stamp which abbreviated the term ‘registered’ to “RD”, but also included date and class of patent) Suggested trade names for William Page & Co’s particular blend of brass plating are ‘roman silver’ or ‘silverite’. This copper alloy polishes to a lustrous gold when new, discolouring to a murky grey with greenish hue when neglected. HISTORY OF THE LOCH ARD The LOCH ARD belonged to the famous Loch Line which sailed many ships from England to Australia. Built in Glasgow by Barclay, Curdle and Co. in 1873, the LOCH ARD was a three-masted square rigged iron sailing ship. The ship measured 262ft 7" (79.87m) in length, 38ft (11.58m) in width, 23ft (7m) in depth and had a gross tonnage of 1693 tons. The LOCH ARD's main mast measured a massive 150ft (45.7m) in height. LOCH ARD made three trips to Australia and one trip to Calcutta before its final voyage. LOCH ARD left England on March 2, 1878, under the command of Captain Gibbs, a newly married, 29 year old. She was bound for Melbourne with a crew of 37, plus 17 passengers and a load of cargo. 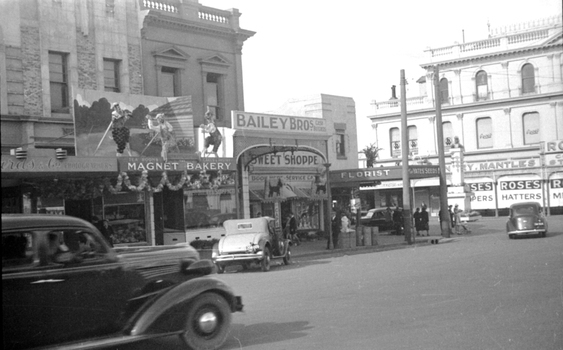 The general cargo reflected the affluence of Melbourne at the time. On board were straw hats, umbrella, perfumes, clay pipes, pianos, clocks, confectionary, linen and candles, as well as a heavier load of railway irons, cement, lead and copper. There were items included that intended for display in the Melbourne International Exhibition in 1880. The voyage to Port Phillip was long but uneventful. At 3am on June 1, 1878, Captain Gibbs was expecting to see land and the passengers were becoming excited as they prepared to view their new homeland in the early morning. But LOCH ARD was running into a fog which greatly reduced visibility. Captain Gibbs was becoming anxious as there was no sign of land or the Cape Otway lighthouse. At 4am the fog lifted. A man aloft announced that he could see breakers. The sheer cliffs of Victoria's west coast came into view, and Captain Gibbs realised that the ship was much closer to them than expected. He ordered as much sail to be set as time would permit and then attempted to steer the vessel out to sea. On coming head on into the wind, the ship lost momentum, the sails fell limp and LOCH ARD's bow swung back. Gibbs then ordered the anchors to be released in an attempt to hold its position. The anchors sank some 50 fathoms - but did not hold. By this time LOCH ARD was among the breakers and the tall cliffs of Mutton Bird Island rose behind the ship. Just half a mile from the coast, the ship's bow was suddenly pulled around by the anchor. The captain tried to tack out to sea, but the ship struck a reef at the base of Mutton Bird Island, near Port Campbell. Waves broke over the ship and the top deck was loosened from the hull. The masts and rigging came crashing down knocking passengers and crew overboard. When a lifeboat was finally launched, it crashed into the side of LOCH ARD and capsized. Tom Pearce, who had launched the boat, managed to cling to its overturned hull and shelter beneath it. He drifted out to sea and then on the flood tide came into what is now known as LOCH ARD Gorge. He swam to shore, bruised and dazed, and found a cave in which to shelter. Some of the crew stayed below deck to shelter from the falling rigging but drowned when the ship slipped off the reef into deeper water. Eva Carmichael had raced onto deck to find out what was happening only to be confronted by towering cliffs looming above the stricken ship. In all the chaos, Captain Gibbs grabbed Eva and said, "If you are saved Eva, let my dear wife know that I died like a sailor". That was the last Eva Carmichael saw of the captain. She was swept off the ship by a huge wave. Eva saw Tom Pearce on a small rocky beach and yelled to attract his attention. He dived in and swam to the exhausted woman and dragged her to shore. He took her to the cave and broke open case of brandy which had washed up on the beach. He opened a bottle to revive the unconscious woman. A few hours later Tom scaled a cliff in search of help. He followed hoof prints and came by chance upon two men from nearby Glenample Station three and a half miles away. In a state of exhaustion, he told the men of the tragedy. 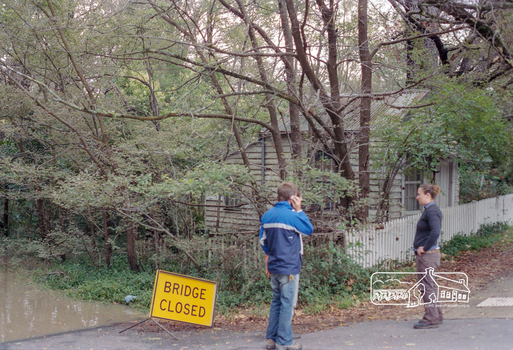 Tom returned to the gorge while the two men rode back to the station to get help. By the time they reached LOCH ARD Gorge, it was cold and dark. The two shipwreck survivors were taken to Glenample Station to recover. Eva stayed at the station for six weeks before returning to Ireland, this time by steamship. In Melbourne, Tom Pearce received a hero's welcome. He was presented with the first gold medal of the Royal Humane Society of Victoria and a £1000 cheque from the Victorian Government. Concerts were performed to honour the young man's bravery and to raise money for those who lost family in the LOCH ARD disaster. Of the 54 crew members and passengers on board, only two survived: the apprentice, Tom Pearce and the young woman passenger, Eva Carmichael, who lost all of her family in the tragedy. Ten days after the LOCH ARD tragedy, salvage rights to the wreck were sold at auction for £2,120. Cargo valued at £3,000 was salvaged and placed on the beach, but most washed back into the sea when another storm developed. The wreck of LOCH ARD still lies at the base of Mutton Bird Island. Much of the cargo has now been salvaged and some was washed up into what is now known as LOCH ARD Gorge. Cargo and artefacts have also been illegally salvaged over many years before protective legislation was introduced. One of the most unlikely pieces of cargo to have survived the shipwreck was a Minton porcelain peacock - one of only seven in the world. The peacock was destined for the Melbourne International Exhibition in 1880. It had been well packed, which gave it adequate protection during the violent storm. Today, the Minton peacock can be seen at the Flagstaff Hill Maritime Museum in Warrnambool. 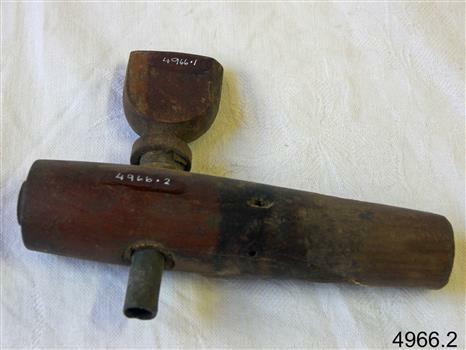 From Australia's most dramatic shipwreck it has now become Australia's shipwreck artefact and is one of very few 'objects' on the Victorian State Heritage Register most valuable. The LOCH ARD shipwreck is of State significance – Victorian Heritage Register S 417. largest collections of artefacts from this shipwreck in Victoria. It is significant for its association with the shipwreck, which is on the Victorian Heritage Register (VHR S417). The collection is significant because of the relationship between the objects, as together they have a high potential to interpret the story of the LOCH ARD. The LOCH ARD collection is archaeologically significant as the remains of a large international passenger and cargo ship. 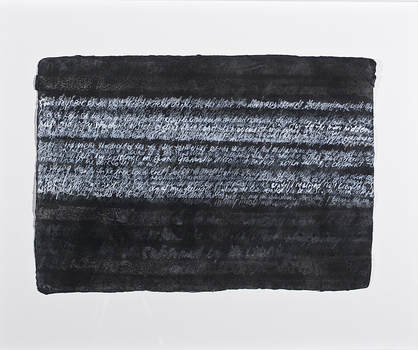 The LOCH ARD collection is historically significant for representing aspects of Victoria’s shipping history and its potential to interpret sub-theme 1.5 of Victoria’s Framework of Historical Themes (living with natural processes). 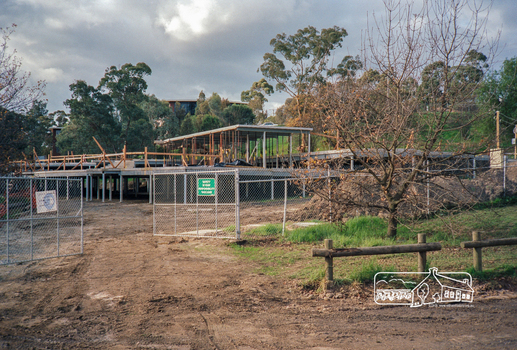 The collection is also historically significant for its association with the LOCH ARD, which was one of the worst and best known shipwrecks in Victoria’s history. 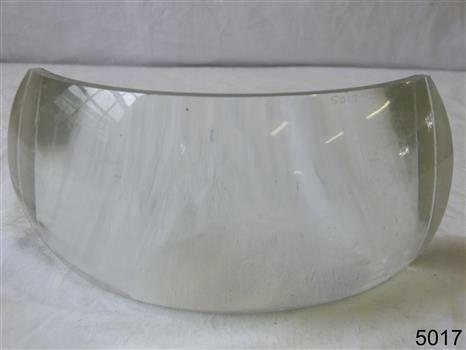 Clear glass lens for side lamp, 125�, marked TGM 1915, 4" x 10". 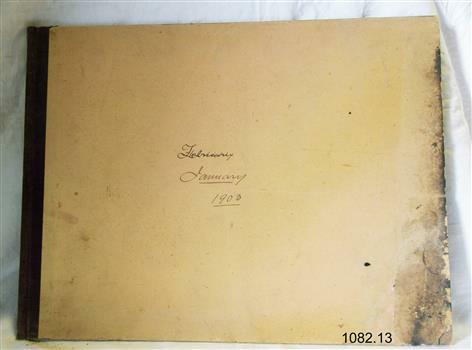 Sticker on inside front cover ÄDMIRALTY CHART AGENTS / BOOKSELLERS & STATIONERS / J. DONNE & SON / 349 POST OFFICE PLACE / MELBOURNE" Handwritten in pencil on first page "A.C. DUNSMUIR / 98 BRAUND RD / PROSPECT"
Written on back of photograph, "3/8/86. 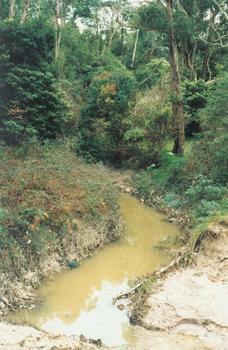 Mullum Mullum Creek, east of Warrandyte Road." 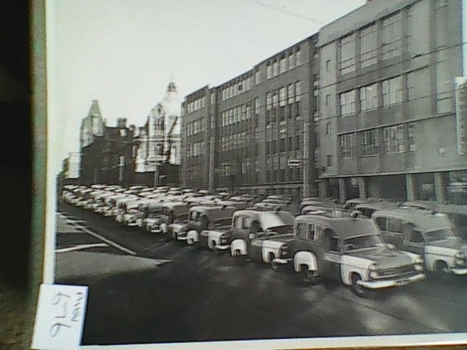 Typed below photograph, "Building the old Ringwood baths in Ringwood Street, looking towards Reynolds Ave. 1934." 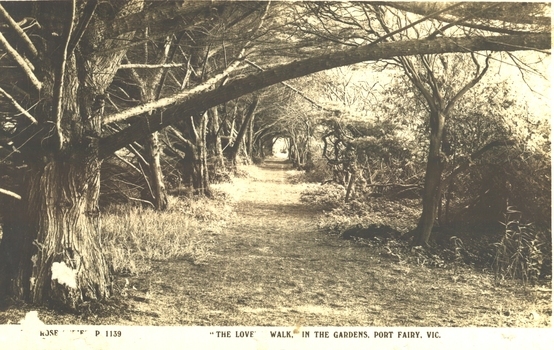 Catalogue card reads 1931. Small printed pamphlet on thin paper. The Victorian Bands' League was officially founded on the 10th of April, 1931. 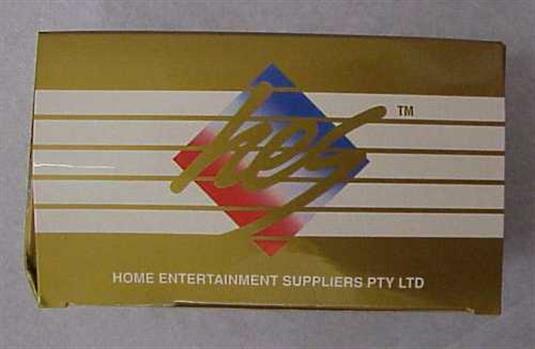 This new organisation quickly gained the affliations of all brass bands in Victoria and took over the control of bands from the Victorian Bands' Association. The new VBL started presenting massed bands events at the MCG and ran competitions around Victoria. 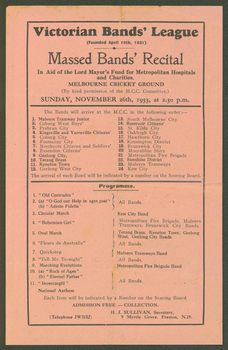 This program pamphlet is a unique example of the style of massed bands events that were held at the MCG with 24 brass bands all marching into the ground and performing a number of items individually or in groups. This would have been quite a spectacle! This small program is very significant to the banding history in Victoria. It provides a wealth of information as to the bands that existed in 1933 as well as what they played, and how the VBL organised events. As well as this, there is evidence of a large number of metropolitan bands as well as bands from country areas. 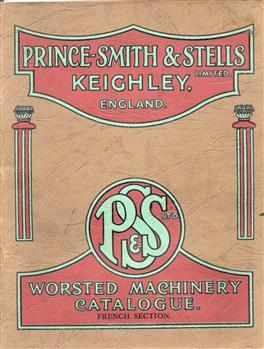 Book/catalogue - "Worsted Machinery Catalogue", Prince-Smith and Stells Limited, c.1920. "Worsted Machinery Catalogue (French Section)" - Prince-Smith & Stells Limited, Keighley, England, c.1920. The catalogue is very comprehensive and describes in detail many types of combing, drawing, spinning and twisting machinery (French System). 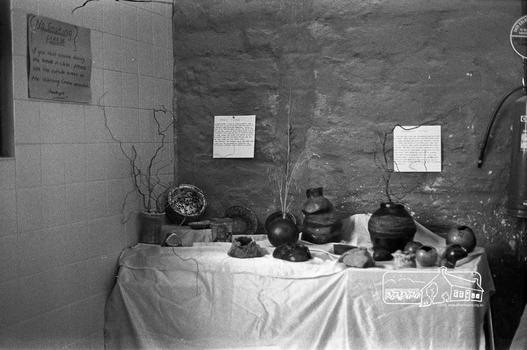 This photograph is from the Max Harris Collection held by the Ballaraat Mechanics' Institute. Please contact BMI for all print and usage inquiries. 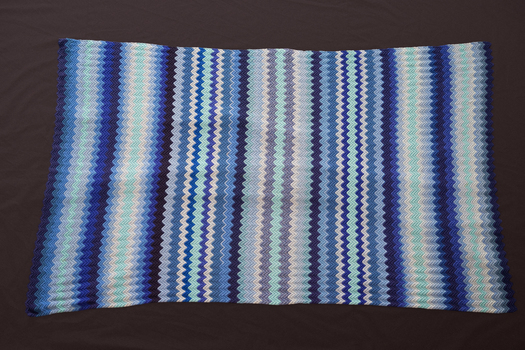 Quilt knitted by Vera Neale in the 1950s. The knitter was Vera Neale,1901 - 1990. 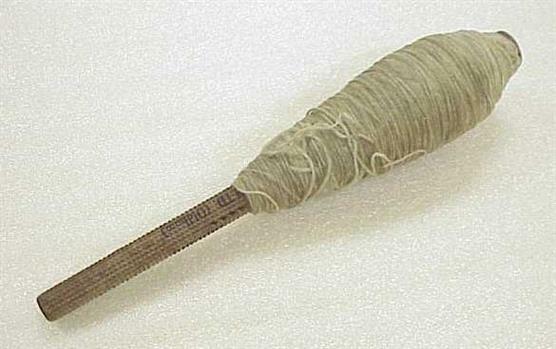 Married with three children, Vera knitted with one and two ply wool using piano wire or bicycle spokes as needles, entering the garments in agricultural shows. This is one of two quilts used on bunk beds. Colour photograph of the windows of the Melbourne University Old Physics Building. Melbourne University Old Physics Building (1889) was designed by Reed, Henderson and Smart. It later house the Univesity's Centre for Indigenous Education and a conference centre (2010). A plaque on the wall of this building states: In April, 1856 stonemasons woking on this building downed tools, marched to the city and inaugrated a movement which win the Eight Hour Day for building workers in Victoria. The victory became an international landmark in the history of the labour movement. News article 1 page, black text and colour image. A new book "Do You Recall?" reveals the unusual history of parts of Watsonia where "hill-billies" sat on their porches surveying an area known as Grace Park with only cattle, rabbits and kangaroos for company. 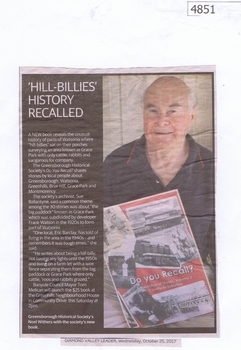 The book is available from the Greensborough Historical Society. 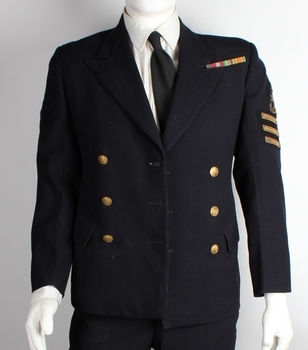 This uniform was worn by Bob Lawson. Bob is a member of Lara RSL, and this uniform is representative of his service in the Royal Australian Navy. 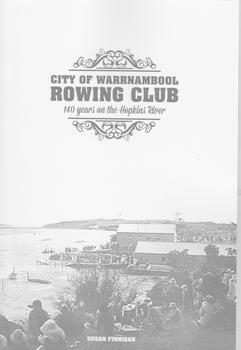 Book - City of Warrnambool Rowing Club - 140 years on the Hopkins River. 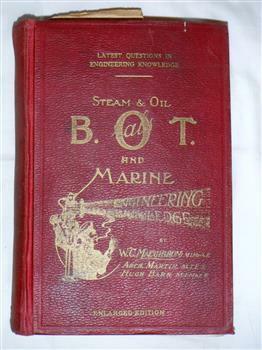 An 85 page A4 book, black and white cover with coloured photographs, table of committees. This book was launched on 21 February 2016. 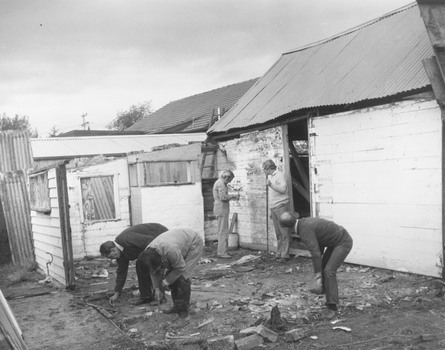 It details the history of the City of Warrnambool Rowing Club (CoWRC) and includes the five rowing clubs that have operated on the Hopkins River, Warrnambool and been absorbed by CoWRC . This book details the history of five rowing clubs on the Hopkins River, Warrnambool. It includes the clubs importance to the community, coloured and black and white photographs, table of committtees from 1871 and the first documented boating club on the river in 1850.